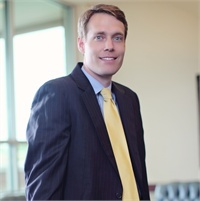 Spencer S. Hall is the Managing Partner at Retirement Planning Services. Spencer helps clients connect their wealth with their values through tailored financial planning and investment management. He has seven years of experience as a wealth manager and attained graduate degrees in business focusing on portfolio management (MBA from University of North Carolina Chapel Hill) and seminary studies (MDiv. from Gordon-Conwell Theological Seminary) to complement his engineering degree from Auburn University. With four years of experience leading non-profit teams in Asia, a summer working with World Relief in Mozambique, and two years running a homeless ministry in Boston, his passion is helping his clients make wise investments that enable them to do what matters most to them. He is on the Board of Directors of the East Tennessee Economic Council and the Wellspring Group. Spencer and his wife, Emily, have three children and attend church at Old North Abbey.